Here is a brief Bio: Joseph Marasco, Ph.D.
Dr. Marasco, CEO of Diffinity Geonomics, is responsible for business development and company operations. Prior to joining Diffinity, he served from 2007-2012 as CEO and board member of Chiral Quest Corp., a US headquartered fine chemical and active pharmaceutical ingredient manufacturing firm. 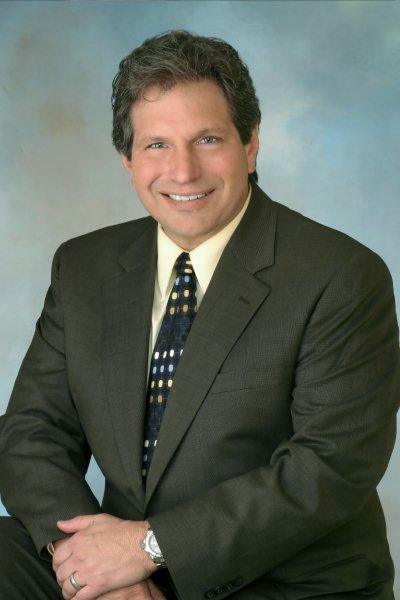 Dr. Marasco has served in several other leadership roles in both early stage and publicly traded firms including Dow Chemical and Beckman. He led the launch of Coenzyme Q-10 as a nutritional supplement in the US during the 1990’s while serving as Director of Kaneka’s pharmaceutical division (the original manufacturer of Q-10). He earned his Ph.D. in organic chemistry from University of Virginia, and was awarded a postdoctoral fellowship in Biochemistry at the Walter Reed Medical Center. Dr. Raghavan kindly sent me a prototype sample of Metadichol. I ingested the sample around 6:00 pm that evening, and then commenced to write a report for work, which I expected to have completed in about an hour. Well, I did finish that report, and went on to another report. When I looked up from the keyboard, it was morning. I had worked through the night without realizing it, and actually felt absolutely fine. I showered, dressed, and headed back to the office for a full day of work again. It was a feeling of increased baseline energy, not a nervous caffeine or sugar induced temporary rush. I called Raghu that morning and asked what the heck he had put in that sample! From that day, I have been hooked on the potential of Metadichol. As a biochemist, although understanding its mechanism of action, I had underestimated its actual effects. “IT WORKS!! !” screamed my wife…. Used on my 18-month old rotator cuff shoulder injury. Normal state was a steady-state of chronic pain, worsening to the point where it was challenging to pick up a coffee cup (this coming from a prior background of >30 years of routine daily exercise including weight training, which I had to cease after the injury). Pain seemed to decrease perhaps 10-20% after three weeks of nightly application on affected area of shoulder, and application continued. Several months later, the pain is now minimal. My wife, an active woman of 57, developed plantar fasciitis, where the heel of her right foot was very painful to walk on, and she had to cancel attending her normal bi-weekly Jazzercize® class after 25 years due to the pain. Nightly application of the gel on her heel has given noticeable relief from the pain, and the difference after the first night’s application was striking. She resumed the class after 3 weeks of Metadichol gel treatment. Also now treating my own severe plantar faciitis daily in both feet with Metadichol gel with very good effect. In my own experience, the initial reduction of pain was not as striking as my wife’s, but now after two weeks the pain has subsided noticeably (estimate 50% decrease in discomfort and continues to improve). My wife has been using the gel on her face for over 2 weeks, and has noticed a rapid definite improvement in skin tone and smoothness, and is now applying the gel to other areas of her body such as neckline and arms. This entry was posted in cancer, Metadichol and tagged cancer, Metadichol Health, plantar faciitis, rotator cuff, Skin health, Wringles by Mark Pegram. Bookmark the permalink.